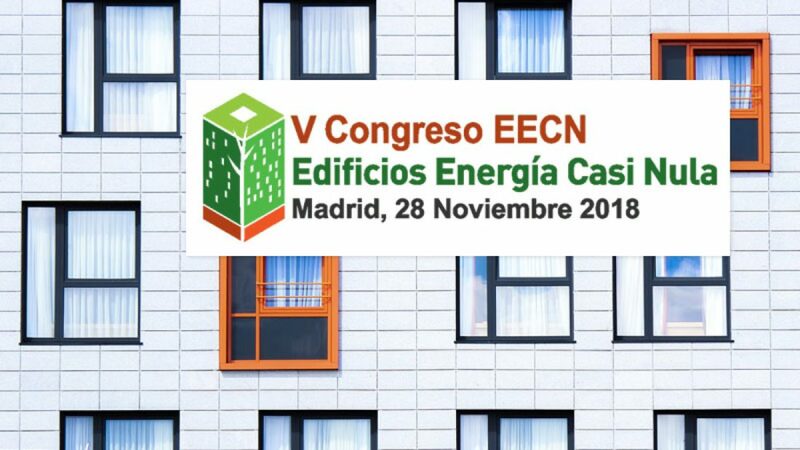 Fabián López, Dr Architect and Founding Partner of Societat Orgànica, will participate as Speaker in the V Congress of Almost Null Energy Buildings (EECN) to be held on November 28, 2018 in the Space La Nave of the City of Madrid with a presentation about “La Borda, promotion of cooperative housing with environmental quality criteria”. EECN is the main professional meeting forum in which to address the current status of High Efficiency Buildings and the implications they represent for the building, construction, architecture and related services sector in our country. Fabián’s participation López will be produced in the Block of Papers from 15:15 on the day of November 28. The presentation will present the case of the La Borda building, in the final phase of work, an example of commitment to a model of collective housing, community and antagonistic to the traditional public-state or private promotions that has allowed overcome some of its major limitations. The innovation of the promotion process has been a key element to work the architecture beyond its formalization. The cooperative prioritizes constructing a building with the minimal environmental impact, both during the construction process and during its lifespan, being also in this area a reference for new developments of new construction. The Congress addresses the key aspects that affect Almost Null Energy Consumption Buildings in Spain from an integral and multidisciplinary point of view. The Congress also covers the current situation and the future of the sector in different formats, such as communications presentations, exhibitions of EECN projects, round tables and keynote speeches. Many different topics will be present, such as technical, regulatory and business opportunities, contemplating solutions for both New Construction and Rehabilitation. Professionals of great capacity of influence and prescription of the main sectors related to the EECN attend the Congress. The Almost Null Energy Buildings Congress is a multidisciplinary professional event aimed at professionals, prescribers and companies related to the building and energy sector.